WATCH Iran Nuclear Scientist Defects to U.S.
A Kuwaiti shipping company that has done more than $1 billion in business with the U.S. military has also had ties to one of the men indicted in New York Monday for his alleged role in an international conspiracy to violate U.S. sanctions against Iran. Members of Congress have for months been asking the Pentagon if the defense contractor Kuwait and Gulf Link Transport (KGL) may be secretly doing business with Iranian front companies, and those questions took on fresh urgency Monday with the 317-count indictment. Among those indicted by Manhattan District Attorney Cy Vance was Moghaddami Fard, an Iranian man whose name appears on dozens of emails with top KGL executives, and who sat on the five-member board of directors of a company that was partially owned by KGL. "I am deeply concerned by information that suggests the U.S. Army and Defense Logistics Agency may be contracting sensitive military logistics services to an entity tied to Iran's primary shipping company," Sen. Mark Kirk (R-Ill.) told ABC News Monday. "We must come down hard on this company so others realize they will pay a price for doing business with Iran," said Sen. Claire McCaskill (D-Mo.). "Our sanctions must have sharp teeth." KGL has received numerous lucrative logistics contracts, including one in February reported to be worth $157 million. The U.S. government contracts have continued to flow to KGL despite a series of letters signed by members of Congress and shared with ABC News that have questioned KGL's alleged ties to the Iranian state-owned shipping giant, IRISL. Top Pentagon officials told Congress they could find no ties between KGL and any banned Iranian firms. But on Monday, Kirk called on the Defense Department to launch an immediate investigation to determine whether the company is in fact tied to IRISL and, if it is, to "take all necessary steps to ensure U.S. military facilities and supply lines have not been compromised." Some of the evidence that purports to link KGL to Fard can be found in dozens of internal company emails that were leaked to members of Congress earlier this year. The chairman of KGL Holding Company, Dr. Ali Dashti, told ABC News he believes the emails have been doctored to make it appear that Fard was conspiring with KGL to hide the company's Iranian connections. "KGL has been the victim of a campaign to spread false and altered documents attempting to show an improper relationship between KGL and sanctioned parties," Dashti said in a statement emailed to ABC News. "Any document indicating that Mr. Fard is or has been a representative of KGL is false. Mr. Fard represented [Combined Shipping] on the board of [a company partially owned by KGL] and has never represented KGL." Lawyers for KGL have told members of Congress that the company recently reorganized and, as of this month, had shed all of its ties to Iranian shipping, including its joint ownership of a company called Combined Shipping Company -- where Fard served as an executive. The company that KGL partnered with in ownership of Combined Shipping has been placed on the U.S. list of banned firms. Dashti said in his statement that the companies are no longer affiliated. "KGL severed its relationship with the Combined Shipping Company," he said. "KGL divested its pre-existing 51 percent ownership in [Combined Shipping] as a direct result of the other 49 percent owner being placed on the U.S. sanctions list." The history of questions about KGL goes back nearly a year, as members of Congress have peppered the Pentagon with questions about the firm. In one letter, Reps. Brad Sherman (D-Calif.) and then-Rep. Ron Klein (D-Fla.) advised Defense Sec. Robert Gates that KGL's own website suggested the company had been engaged in a joint venture with the Iranian state shipping company. In April, Sen. McCaskill followed up, telling Gates: "I recently received information showing that KGL may have business interests in another Iranian company." "Despite these issues," McCaskill wrote, "KGL has continued to receive contracts from the government." In May, Sen. Kirk followed up with another letter, this time raising concern that the company has "a history of ventures with the Iranian government." Then last week, Sherman sent his own follow up letter, saying that despite the findings by the Pentagon to date, he believed there remained cause for concern. He said he had seen records showing that a company with known ties to the Iranian shipping company had loaned money to a company partially owned by KGL to finance the purchase of two cargo ships. "If these documents are accurate, KGL and IRISL for all intents and purposes own and operate these two vessels in partnership," Sherman wrote. In recent weeks, senior Pentagon officials have responded to the various Congressional inquiries, saying they have "found no substantiated information" that would indicate that KGL has violated U.S. sanctions against Iran. There was "no indication that KGL Holding has violated U.S. law," a May 30 letter from Undersecretary of Defense Ashton B. Carter says. "Please be assured, we find it important not to award contracts to violators of federal law." It appears a prime source for the Congressional inquiries has been two thick binders circulating around Capitol Hill that are filled with what purport to be internal KGL emails, shipping records, and other internal company documents. It is unclear exactly where the internal documents came from, and some Congressional staffers have openly questioned whether some of the documents have been altered. Among the documents are dozens of emails between top KGL executives and the Iranian shipping executive, Fard. In numerous emails between Fard and a top KGL executive, the two discuss the chartering of vessels, debate business tactics, and at one point appear to be agreeing on coded language that would help them avoid the U.S. list of banned companies. This last email exchange is one of those that KGL alleges has been altered. Also among the documents are corporate records that purport to show that Fard served until recently on the board of of RAK Shipping, a company whose other board members included Dashti, who had a personal stake in RAK, and another KGL executive, there because of KGL's 18 percent stake. In addition to being among those named in the indictment handed down in New York, Fard was also added Monday to the U.S. Treasury Department's list of banned entities and individuals with ties to Iranian shipping. Adam Szubin, director of the U.S. Department of the Treasury's Office of Foreign Assets Control, told reporters Monday that the Iranian shipping line has established a tangled web of shell companies with the goal of circumventing U.S. sanctions. "As the private sector around the world increasingly turns its back on Iran's national shipping line, IRISL's efforts to evade international sanctions and increased scrutiny have grown more and more desperate," Szubin said. "The persistent attempts by IRISL to deceive the world, including through the front companies identified today, attest to the weakness of IRISL as it tries to maintain a semblance of legitimacy while supporting Iran's proliferation activities." Dashti said KGL has taken every measure to avoid doing business with the banned Iranian firms, and added that he remains hopeful that the Congressional inquiries will not damage his company's relations with the Pentagon. "KGL has received many awards and accommodations from the Army for its past support of overseas deployments and looks forward to continuing such support," he said. 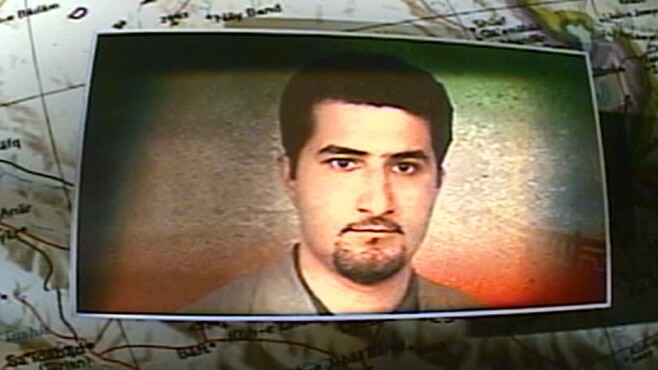 Did Military Contractor Have Links to Iran?